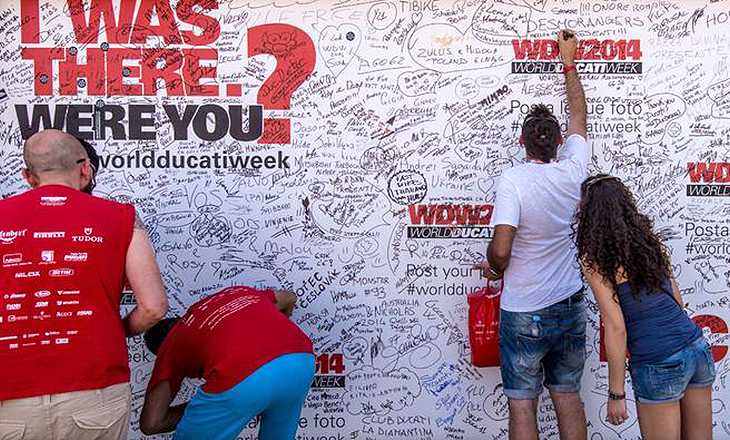 The World Ducati Week is an international event to promote the motor’s world. To emphasize the atmosphere of 9th edition, it was proposed live events to make every participant feel a star during the show. To amplify the communication before the event, a social program of engagement on line was proposed and an activity of social reporting during the show at Misano World Circuit was scheduled.